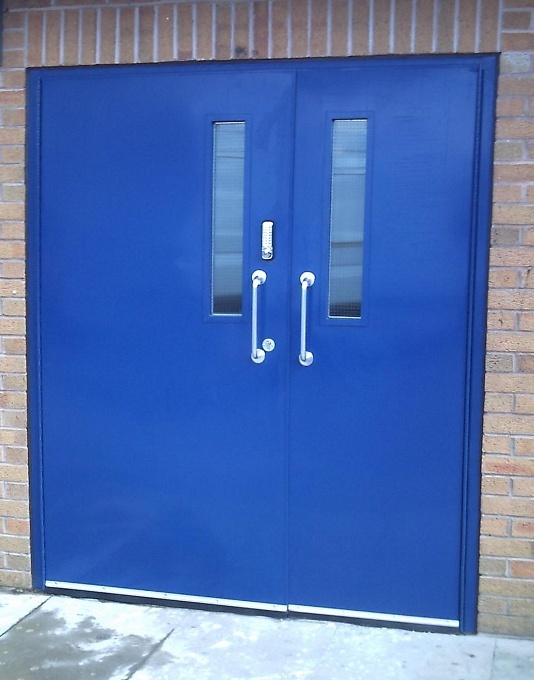 We offer a large range of Personnel and Fire Escape Doors. With Access Doors you can feel safe that your property and stock are protected to the highest standard against fire in accordance with BS476 Part 22 – 1987. This standard applies to our full range of fire doors which can be activated to shut, sealing off the fire, before it is out of control. Our fire doors come in several options of operation and powder coated finishes. Our fire-resistant roller shutter can ba activated electronically and in controlled descent. An alarm activated system with timed delay, audible and visual warning equipment is available including a battery back-up system. We also offer other fire protection products including Smoke and Insulation Curtains, Fire-Resistant Doorseals and Smoke Seals. A full range of hardware is available incl. Panic bolts, locks, seals etc as standard, or, if required we can prepare the door to take your own ironmongery.